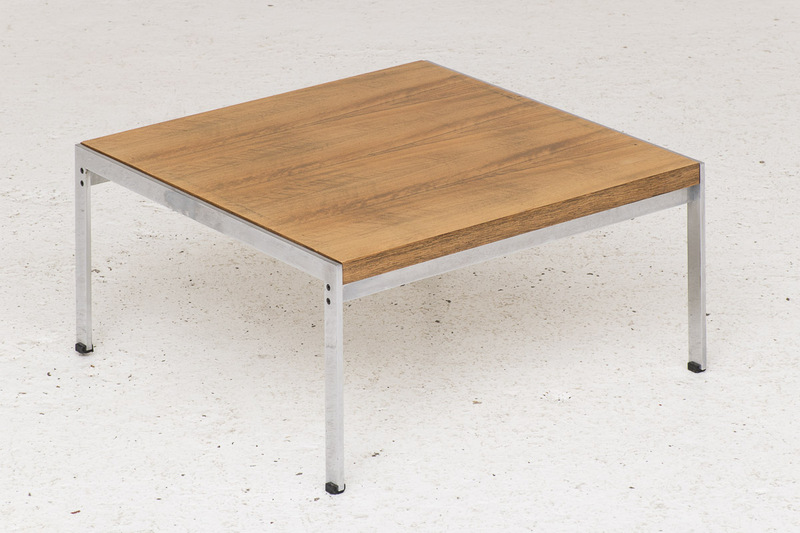 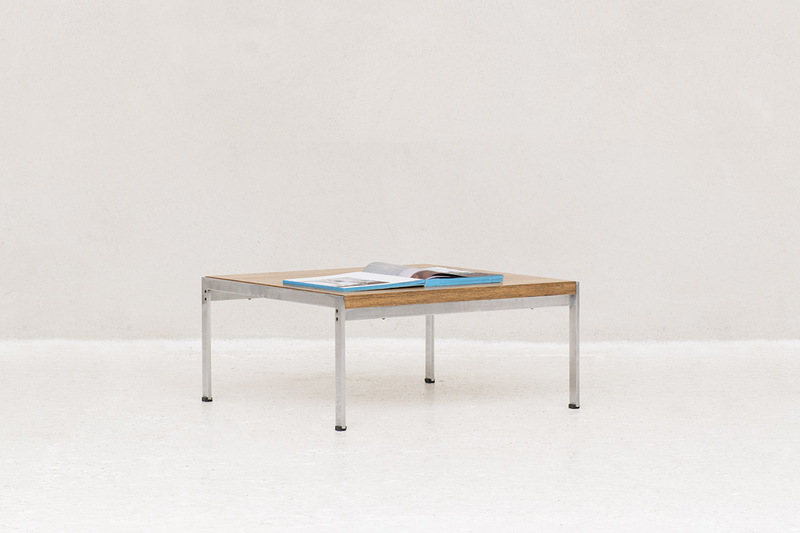 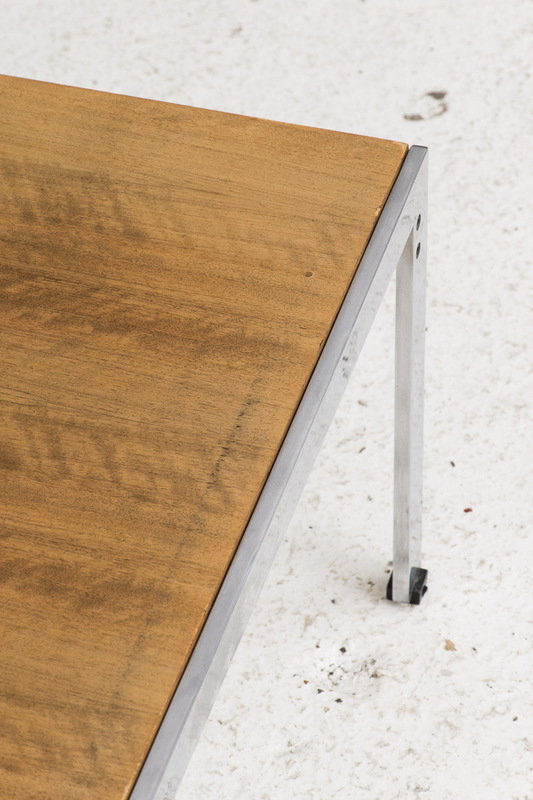 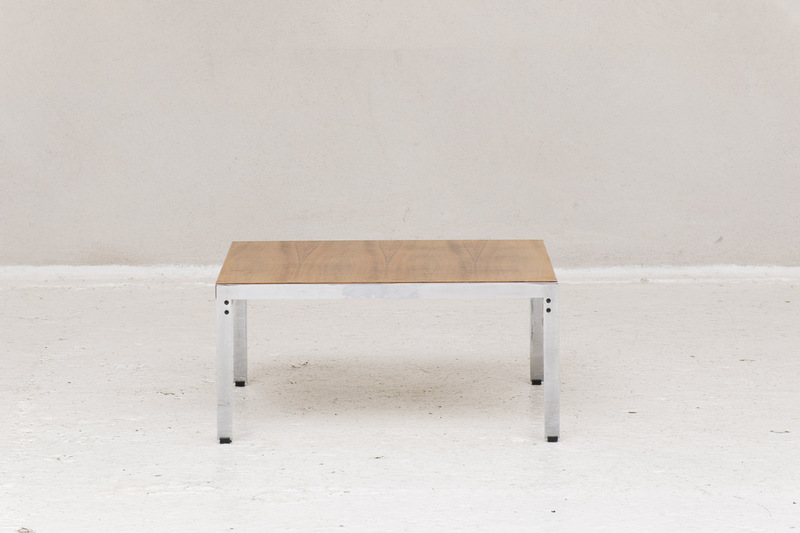 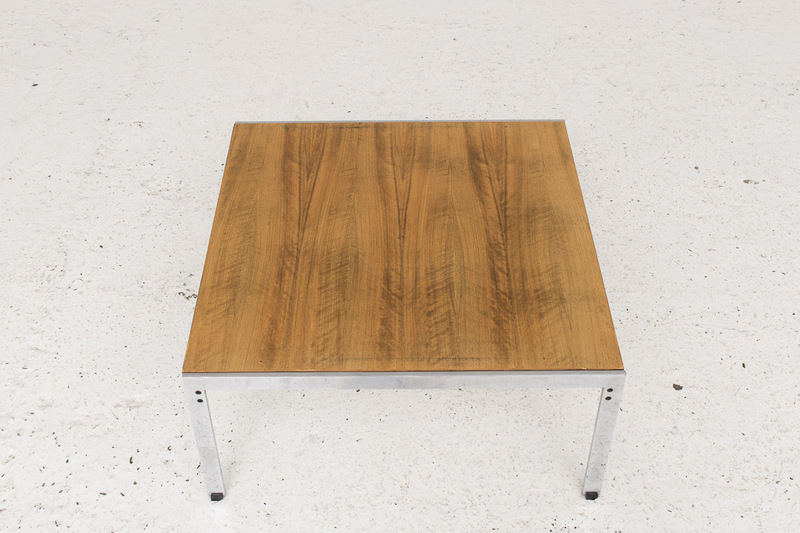 Coffee table from the 020 series designed by Kho Liang Ie for Artifort in 1958 in Holland. 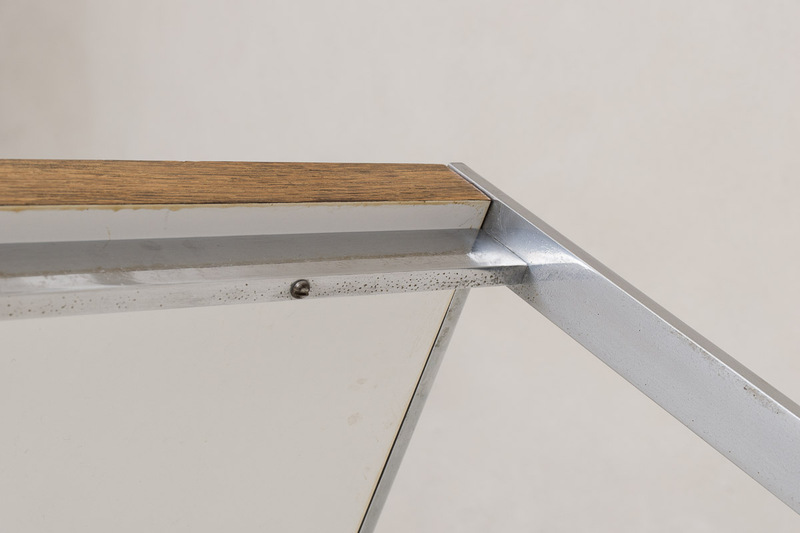 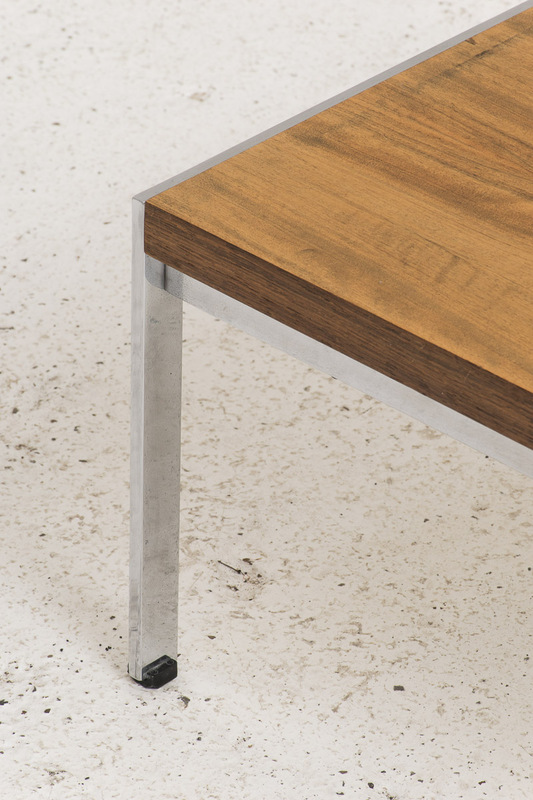 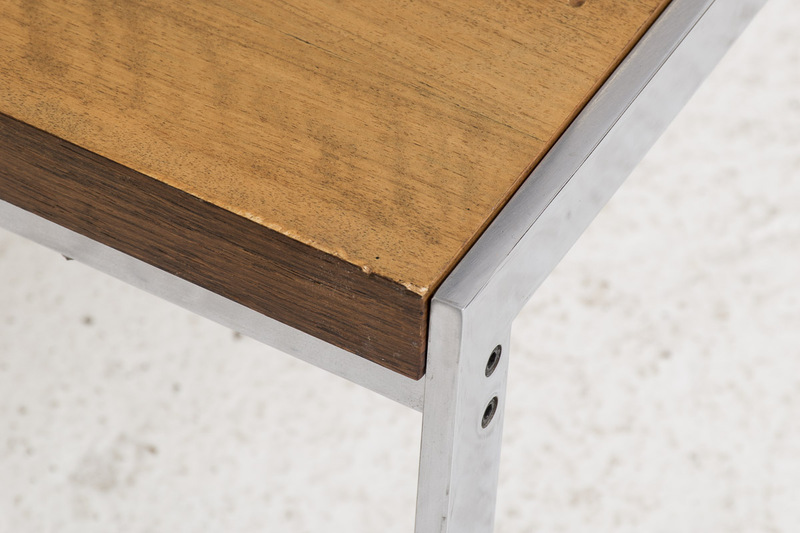 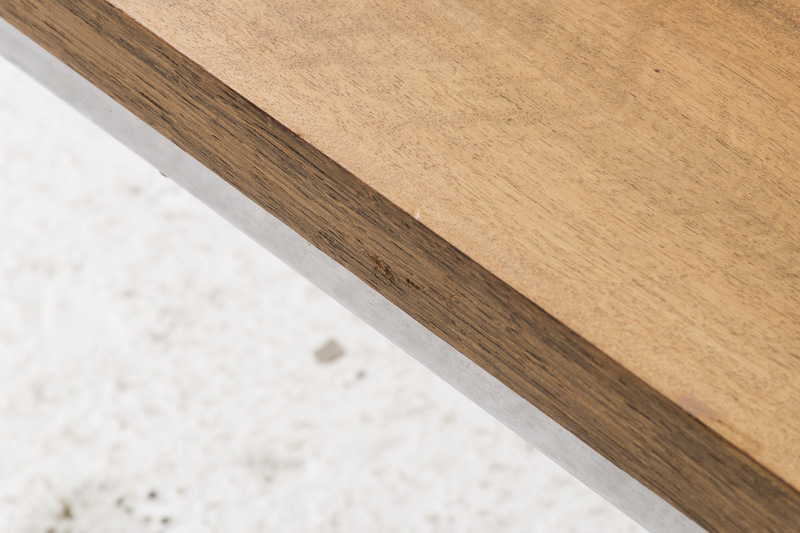 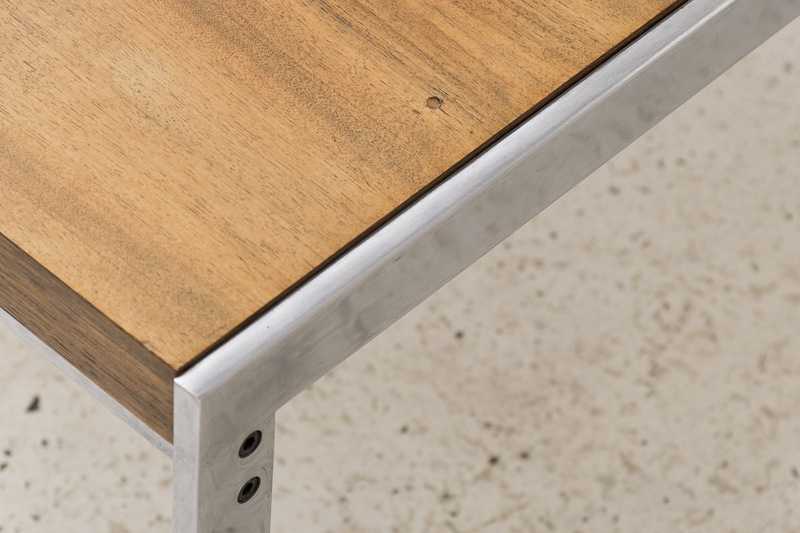 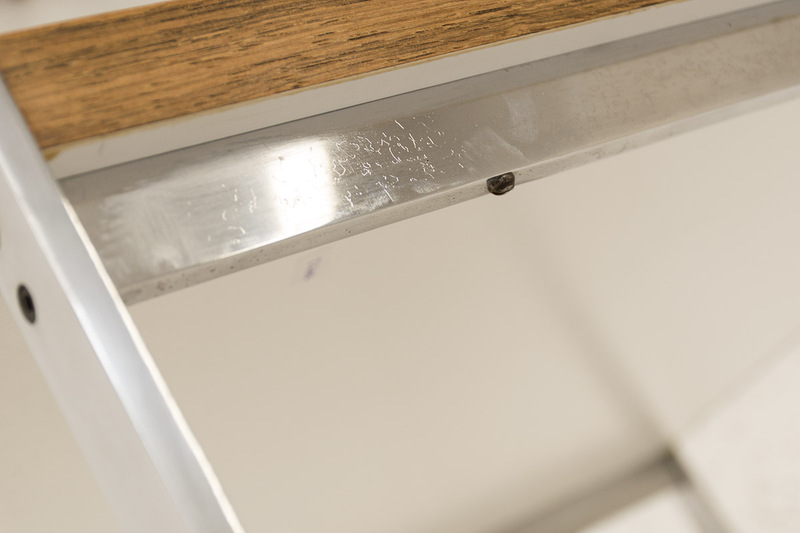 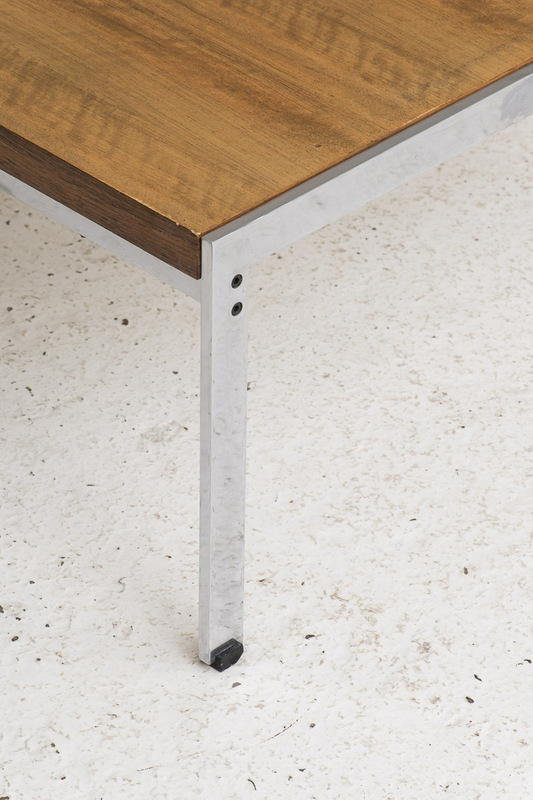 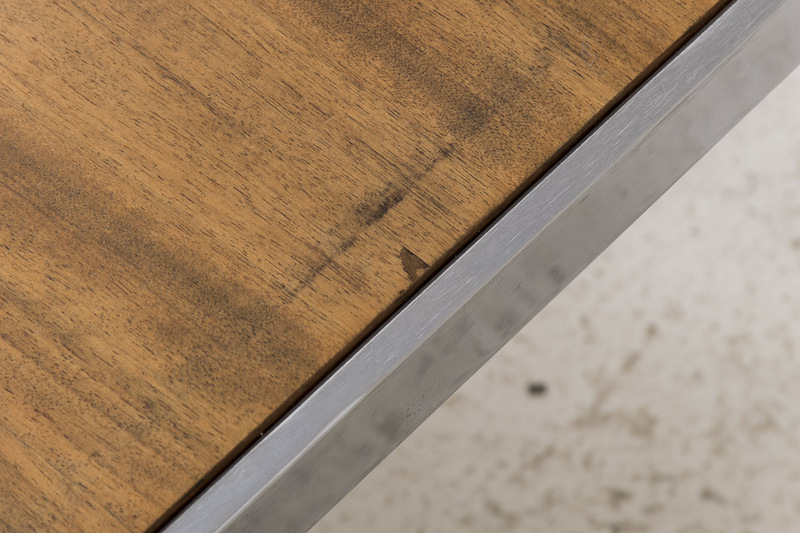 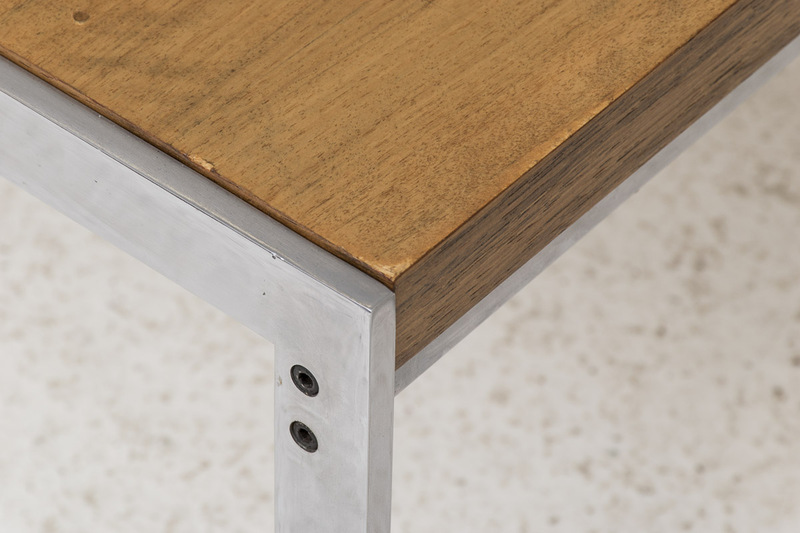 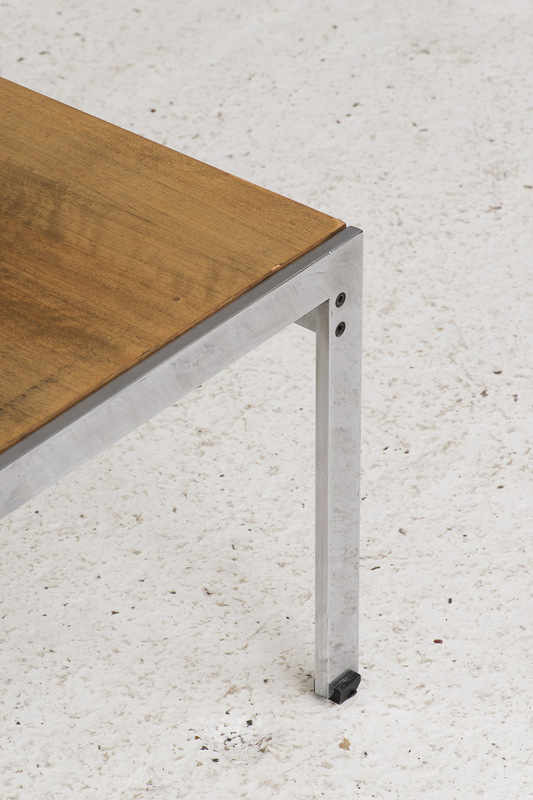 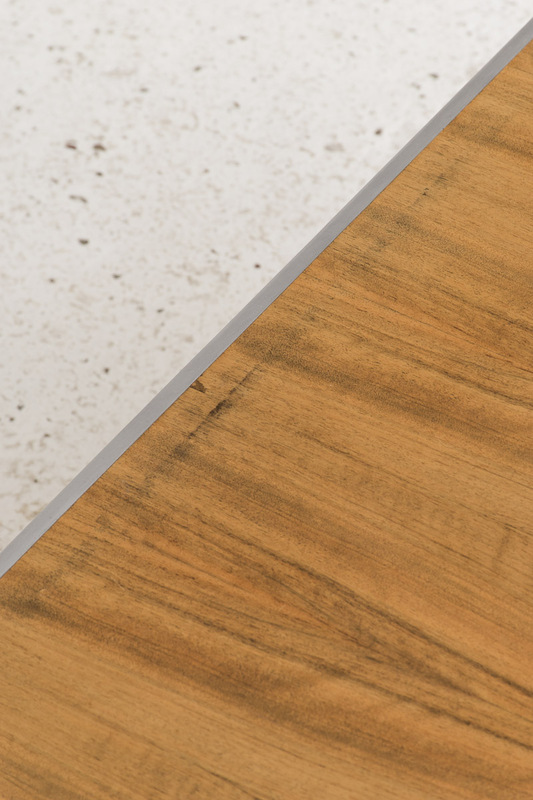 Four metal legs connected by beams with a stylish teak veneer tabletop. 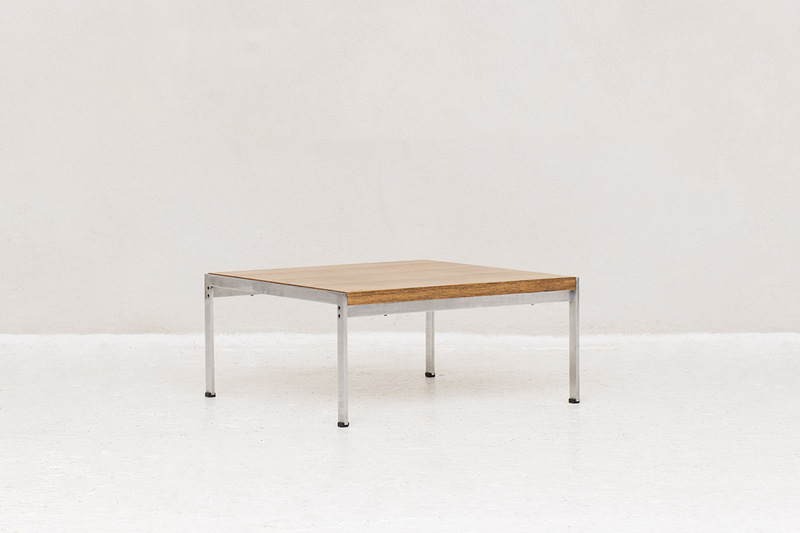 Some wear visibe from a previous life.